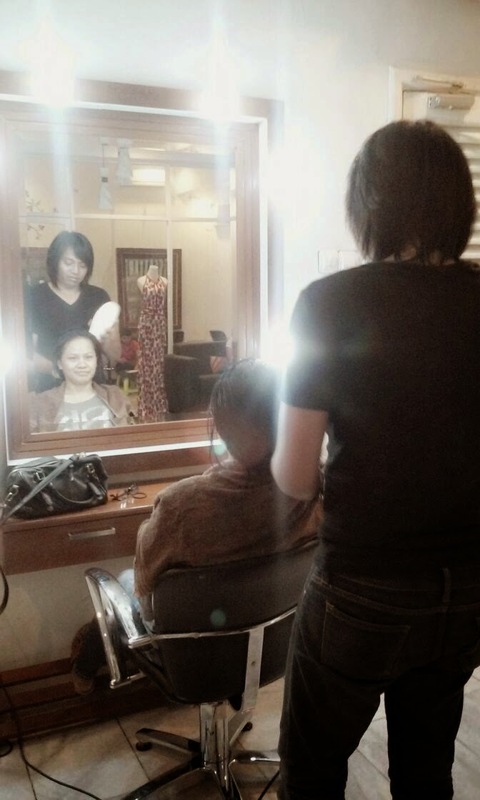 I like having a nice treatment in salon for at least twice a month, this the thing that I like most being in Indonesia. 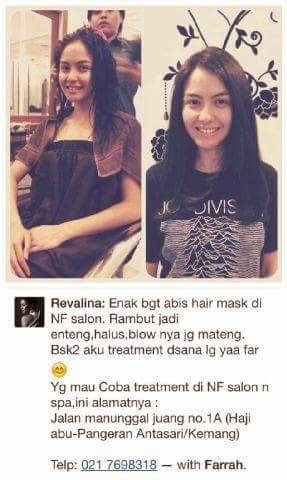 Really, having treatments in salon in Indonesia is like a heaven. You can have all treatments from head to toe with price you can't really imagine. That something I can't possibly have when I lived in Europe, they just too much on the price for one treatment. I spent €250 for just five times treatments on menicure and pedicure, in not even proper salon. That's probably equal for a hundred time menicure and pedicure in Indonesia? So you understand why I'm crazy for having treatments in salon here. So anyway, I've been doing my exploration to many salons since arrived in Indonesia and most of them are recommended by friends of mine. 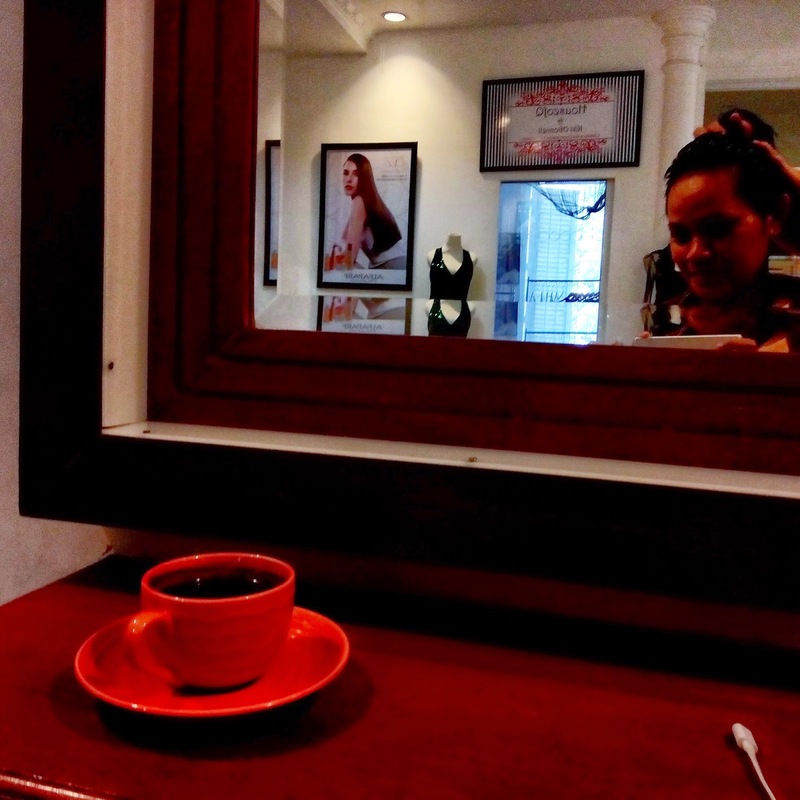 One of my favorite salon is NF salon where just located near Antasari and Kemang raya. 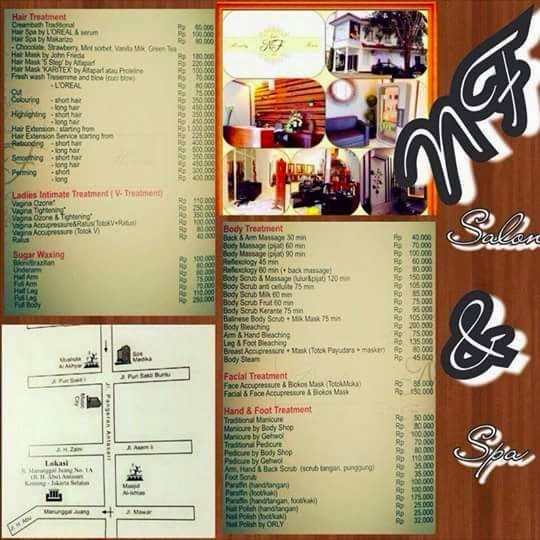 Here you can get normally what other salon offer, like Creambath, Body massage, Hair cut with blow, Manicure & Pedicure, Bikini Waxing, and their newest offer is Vaginal ozon therapy. You can get your late lunch instead or anything here, just asking the staff if you need a cup of coffee or even breakfast :-). According to the staff to do the vaginal ozon therapy you must a week after period finish. I'm not sure if I need this but going to try later. Hopefully I can make review after that :-). I can tell that for good salon should be at least have good hair blow. So since I like having hair treatment in NF, I come here often. They have two very good staffs for the hair stylist. For hair blow, I'd prefer a guy name Goffur. Just done my hair cut today with blow and crembath, all together Rp205K. Eva, the staff of NF Kemang was amazing. Apart from doing the manicure and pedicure, she's also very good at helping me making my eye brow with pencil from Viva product and look perfect. The owner of NF salon is very friendly and helping, I like asking her for beauty and fashion tips sometime when she's there. Most the employee there are also friendly and helpful, their service is great. The salon sometimes can be very busy all day so better to book early to avoid dissapointment and safe your time from long waiting :-).